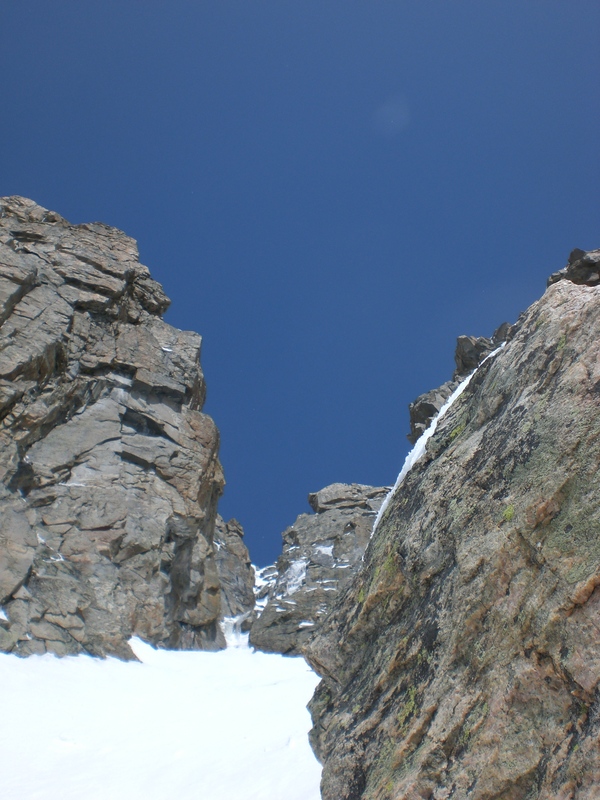 On the East side of Big Horn Peak, a pair of cirques hold some of the best granite mixed climbing around. 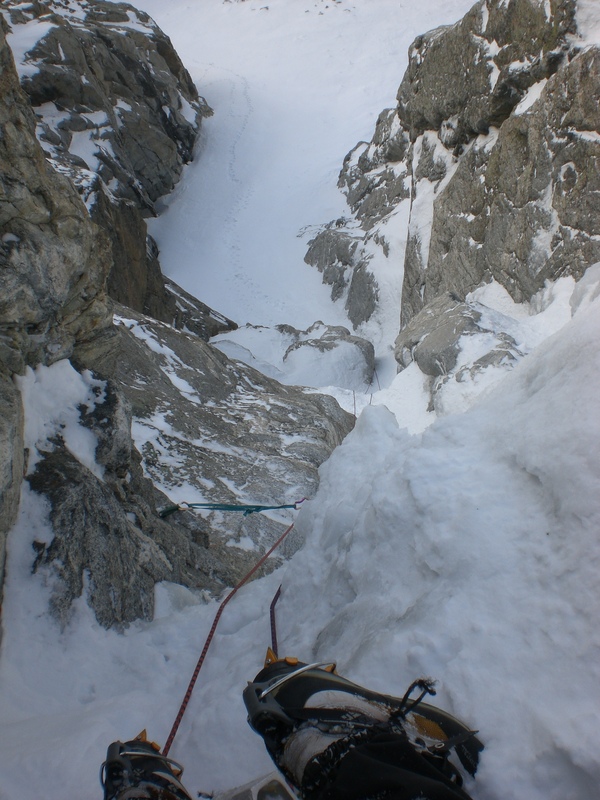 It is hard to access; think Teton winter climbing. When the Circle Park road is gated, it’s a 7 mile trip one way through windfall, boulders and continental snowpack. But it’s worth it and this route is one reason. A large rib divides the two cirques. 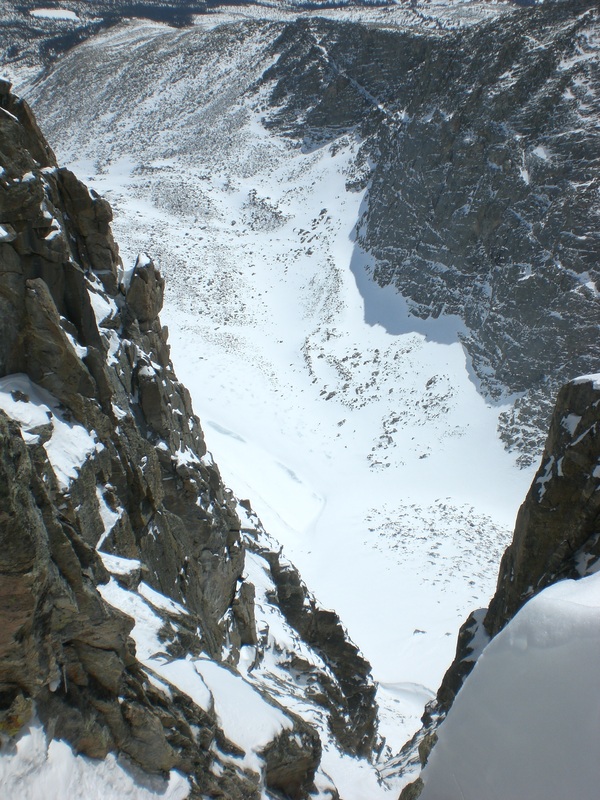 Near the junction of the rib and the massif, a deep notch divides the rib. The route Far Reaching Return follows the South side of this gash. It is ‘in’ sometimes in late Fall, but reliably April through May. With lots of snow, it checks in at about M4. In a dry year or late season, it gets really good, M5+. 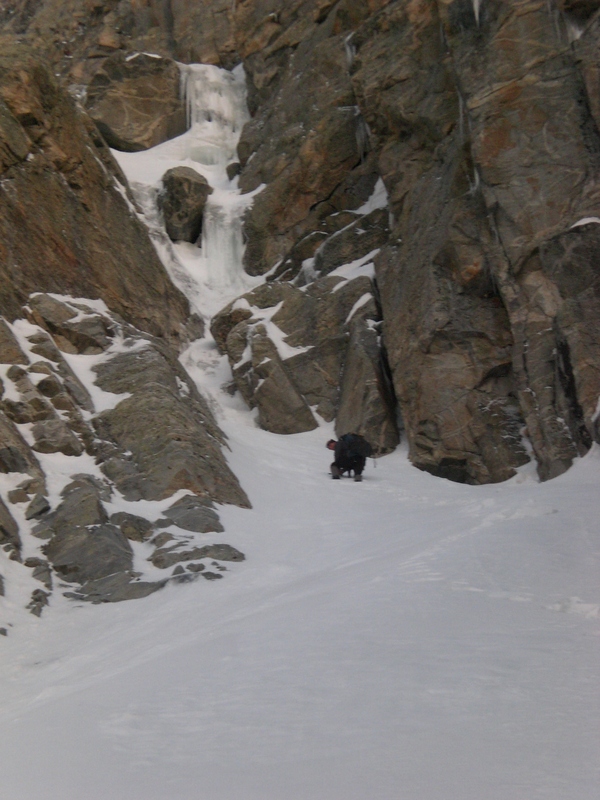 The ice climbing is consistent at WI4+. Off the deck, you get two pitches of mixed – real mixed, with one foot on the ice, one on the rock. 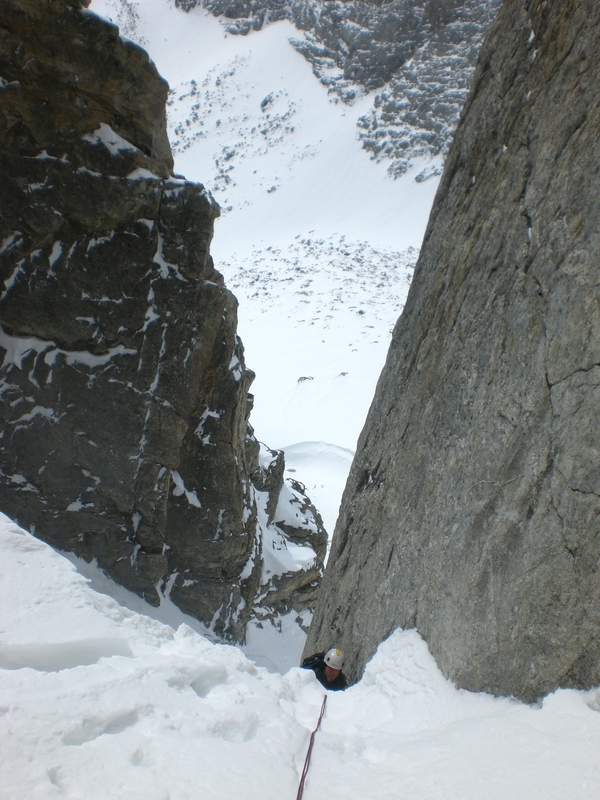 A section of easy snow climbing follows, with a tricky mixed step at the end. Topping out on the ice. Next is a beautiful column of ice in a corner. This can be thin at the bottom, but if so, several finger to hand sized cracks are exposed and offer excellent protection. 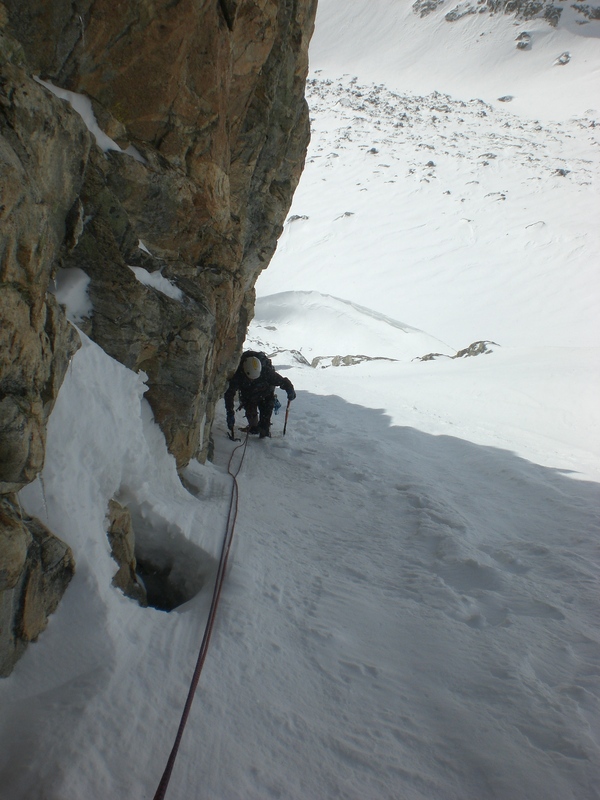 Above the ice, a pitch of easy mixed leads to a long snow slope. Long snow slope in the middle. The slope is broken by a short, slabby rock band about 3/4 of the way up. 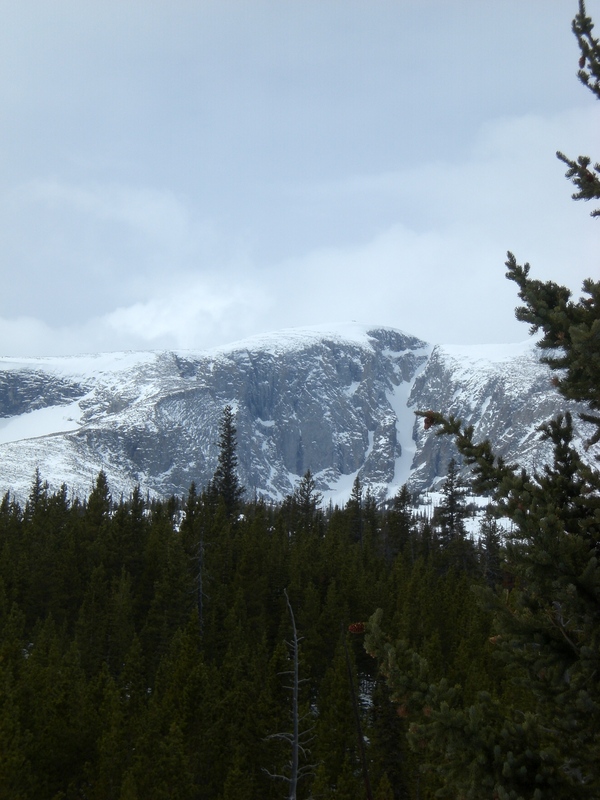 Above the rock band, the snow gets steeper, eventually becoming more moderately difficult mixed ground up to the notch. From the notch, and there’s no mistaking it, a traverse to climber’s right leads to 4th and easy 5th class climbing up to the top of the rib. 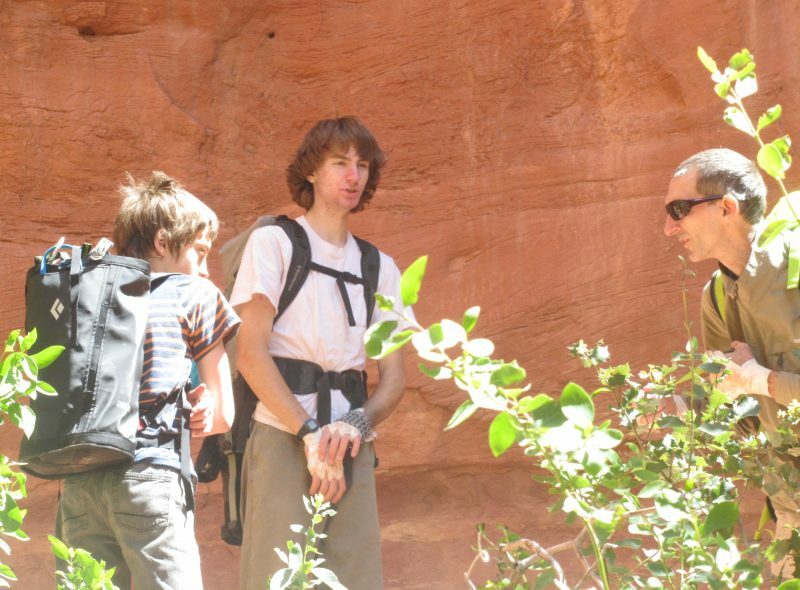 To escape the rib, walk down about half way, looking for a steep snow field on the North side of the rib. 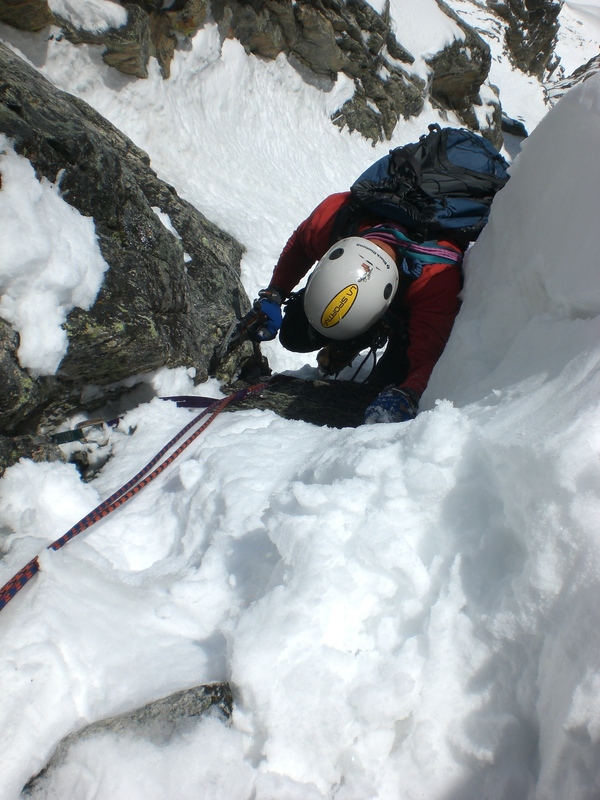 Downclimb the snowfield, with one possible rappel. Then it’s just a wallow back around the toe of the rib to where you started.